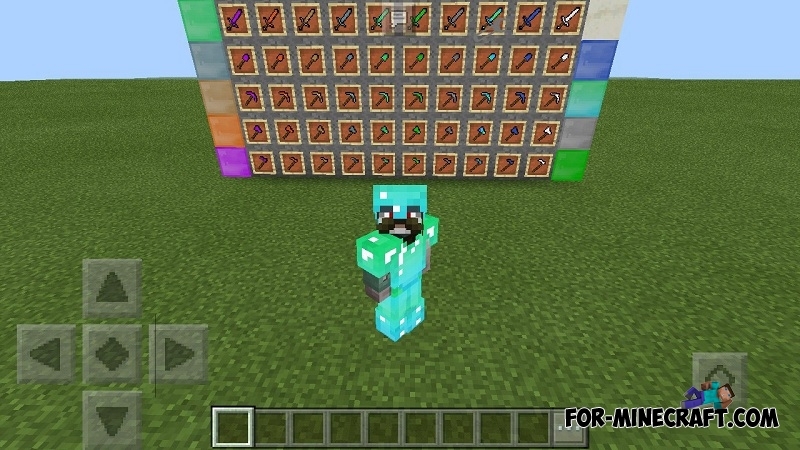 This pack is designed for those who do not want to download the mods separately, and also check their compatibility with MCPE. Just note that all the mods work only on Inner Core, BlockLauncher or other launchers are not suitable for installation. In short, all the mods are small and do not bring in so many things or possibilities. The most important thing is that all modifications are fully compatible with each other and do not cause bugs. 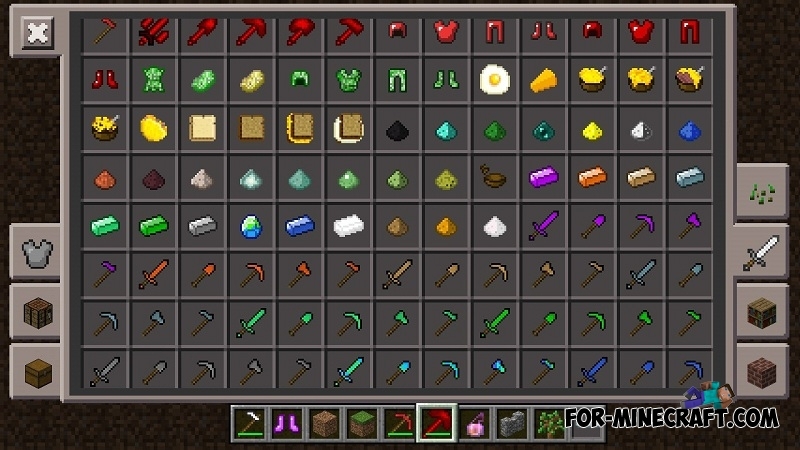 For example, Miners Heaven adds many new ores generated around the world. 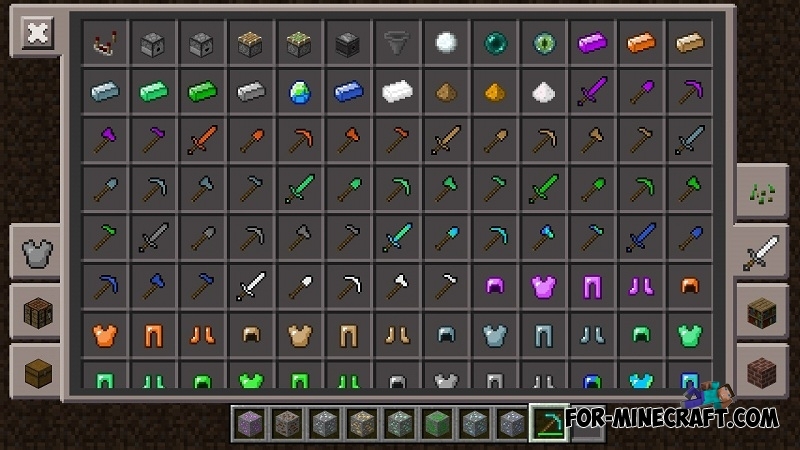 Using them, you will be able to craft new types of armor and weapons with new characteristics. Essence Powder is an excellent opportunity to replace ores, or rather add an alternative in the form of powders. This substance can be an excellent substitute for crafting. Eat the Eggs is already added to our site, click on the link for details. 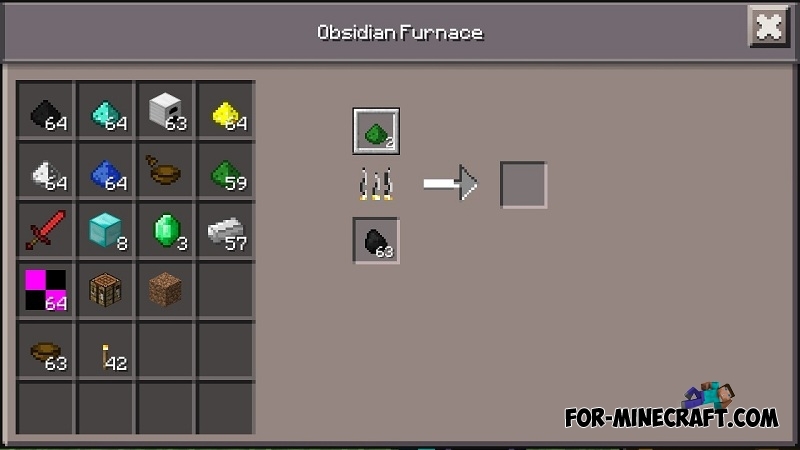 More Furnaces adds 5 new furnaces that differ in performance and color. 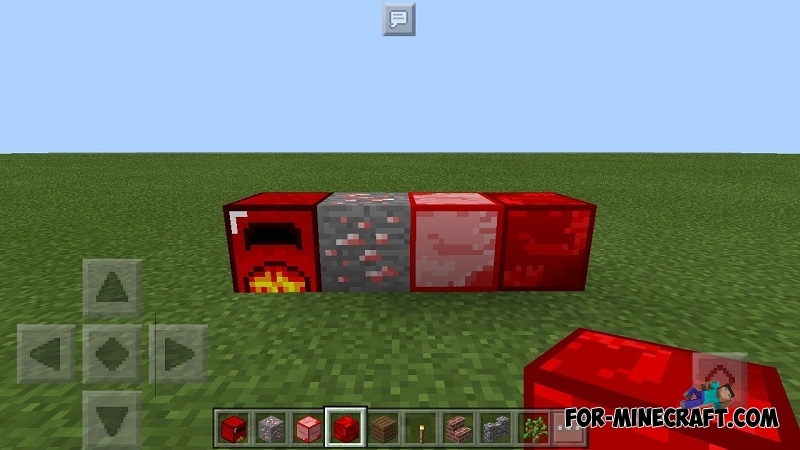 Creeper Drops changes drop for creepers, now you get meat and skin for speedy development. 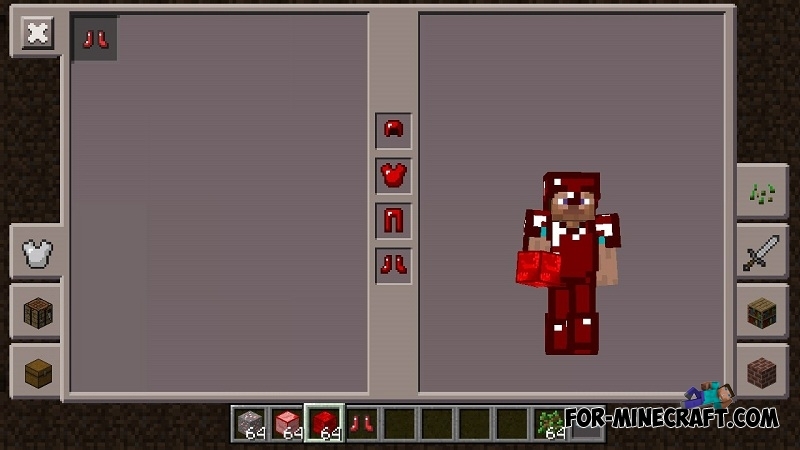 Ruby Mod is not only rubies, but also new armor and weapons + crafting recipes. 2. 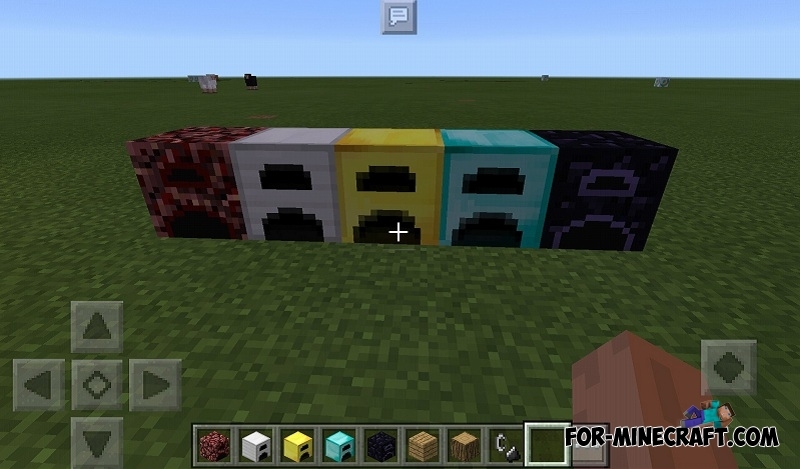 Copy the Eat the 6 Mods folder here: games/com.mojang/mods.